If you want to deepen your knowledge what are the best routes into archaeology? Whether it’s for general interest, preparing to get more involved as an amateur, or even as a career move, there are a range of options available for people based in the Peterborough area. We take a look at some of these and talk to FRAG members who have personal experience of different routes into archaeology. A good starting point is to participate in practical activities organised by local archaeology groups such as FRAG, or in community excavations such as the one at Peterborough Cathedral in 2016. 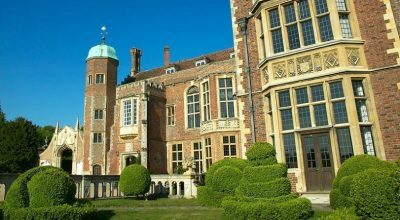 A subscription to either British Archaeology or Current Archaeology will also get you up to speed – and make you aware of conferences or digs which you might want to attend. Beyond this there are a variety of archaeology courses to consider. FRAG members (and potential members) are very welcome to make contact. We would be pleased to provide advice if we can. The Sedgeford Archaeological Research Project (SHARP) has been running for over 20 years. 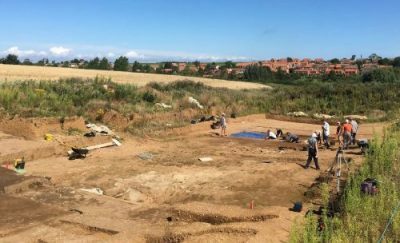 There is an annual dig at Sedgeford, close to Hunstanton in north Norfolk. There is a strong educational element, a lot of expertise, and a very relaxed and friendly atmosphere. The one week Basic Excavation & Recording Techniques course (BERT) will equip you with the skills and confidence to participate in any excavation. One of the course tutors is FRAG field officer, Phil Hill. They also run more advanced courses in topics such as Human Remains and Archeometallurgy. Many universities encourage their students to attend. “My journey into archaeology is far from unique; in fact I suspect that most archaeologists are inspired in the same way that I was. During 2006 I was watching a documentary about an excavation in Flanders which had discovered a mass grave dating to the First World War. The focus of the documentary was to identify and repatriate the 28 skeletons. Imagine my delight when I noticed a Peterborough number as contact details for the archaeology group carrying out the excavation. Having studied military history all my life I decided to expand my studies to include actually getting my hands on the history that I had read so much about. Following a brief phone call the next day I learned that I needed a certificate from a recognised field school. Most field schools were either too expensive, too far away or needed more time than I was able to give. The one I settled on was at SHARP and I turned up in early July of 2008 just to learn how to dig. Or so I thought. It turns out that SHARP’s Basic Excavation and Recording Techniques (BERT) course is far from basic, in fact it is very comprehensive. I only realised how comprehensive once I’d completed it and started to volunteer around the county with different organisations. I went to Sedgeford so that I could continue to study military history in a different way but something happened while I was there; I discovered people, Anglo-Saxon people. I had seen the humdrum of everyday life for people just like me but living in a different time. I had excavated an enclosure ditch which contained pottery fragments and a belt buckle, not touched by human hands in 1300 years. For me it was nothing short of magical. My appetite whetted I wanted to know more, I spent the rest of that summer reading everything I could lay my hands on about the Anglo-Saxons. 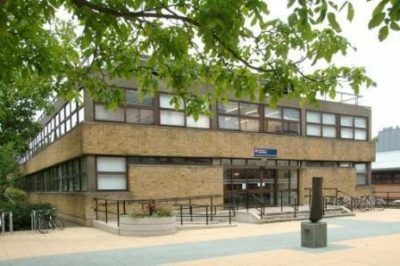 Still this wasn’t enough so I looked around for something else and following a chance meeting with Ben Robinson (then county archaeologist for Peterborough) I decided to enrol on the Archaeology and Landscape History degree at University College Peterborough (UCP). I studied hard for the next five years (graduated 2013 – first class honours) and volunteered at every opportunity with Oxford Archaeology East (OAE) and Access Cambridge Archaeology (ACA) and a whole host of community groups through Jigsaw. All the while I continued to excavate at SHARP each summer and in my third season there I was invited onto the supervisory team. For the last seven years I have been supervising the BERT course. Notable moments. I was on the evaluation in Itter Crescent the day the Roman Villa was discovered in 2011 and managed to spend a few weeks excavating there. Previous to that I was excavating with OAE in Bretton in late 2010 and was fortunate to be involved in the excavation of an enigmatic well feature, as well as a couple of complete and undamaged pots I excavated several leather shoes – Roman leather shoes. In 2011 at SHARP I uncovered a complete Anglo-Saxon spindle whorl complete with incised decorations and possible runic inscription – quite rare. The site office at SHARP has several of my finds on display. I once asked Bob Hatton (Archaeology lecturer at UCP) whether it was better to be a good archaeologist or a lucky one, his answer was a quote from Seneca; “Luck is what happens when preparation meets opportunity”. I grab every opportunity that family and work will allow, I have prepared by exposing myself to (and practising) all aspects of archaeology, even the bits I’m not so keen on and consequently I’ve been ‘lucky’. Each time I ‘do’ archaeology I learn something, about myself, about the people I’m working with, about the period I am working on and about the archaeological process. If I had to pick a favourite period it would be Anglo-Saxon, there are still gaping holes in our understanding of how they went about their daily lives but I’m equally at home excavating a Victorian out house (I’ve done that too). 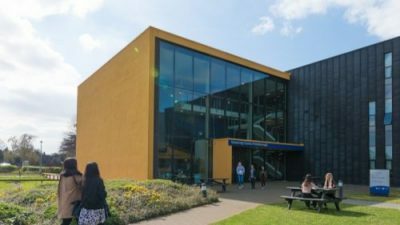 You can study in Peterborough for a degree awarded by Anglia Ruskin University. The Archaeology and Landscape History course has been available for over 20 years. It can be studied full-time over 3 years or part time over 6 years. The course covers both theoretical and practical skills; topics range from the prehistoric to the modern. It’s local, has a good reputation, class sizes are small and if you are eligible for a student loan it is very accessible. Course co-ordinator, Bob Hatton, has deep personal knowledge of many local archaeological sites. The course title and structure is currently under review and a new syllabus is likely for 2019. “My workplace was restructuring for the second time in less than a year and I was at risk of redundancy again. This seemed like the ideal opportunity to rethink my career! My children had left home and though I had qualifications after my A levels I did not have a degree. Enquiries at a number of universities elicited the same response: they all expected me to attend an access course before applying but when I spoke to Bob Hatton at Anglia Ruskin’s Peterborough campus about the degree in Archaeology and Landscape History he took all my previous experience into account and offered me a place. Bob recommended doing the BERT course at Sedgeford in the summer before I started. With trepidation I duly signed up – I do not like camping but was blessed with two weeks of beautiful weather and had the most brilliant time. My family all commented on how enthusiastic (and muddy) I was. I am now nearing the end of the second year of my degree. It has flown past. I have particularly enjoyed the module on landscape history where you ‘read’ the landscape and what humans have done to it – I now peer over hedgerows nosily. The pre-historic is my favourite time-period and causewayed enclosures my favourite monument. Visiting the Orkneys is now on my bucket list. I am so glad that I did the BERT course as we have referred to the techniques we learnt so many times. I have said yes to every opportunity to go and dig locally so that I can apply all that I am learning. Joining local archaeology groups like FRAG has been invaluable and the archaeology world is surprisingly small so there is always someone who knows someone for advice or voluntary opportunities. There are undergraduate degrees in archaeology alone; combined archaeology and history courses; and there are various post graduate options. Courses can be taken full time or part time. There are Certificate and Diploma options for those who are not necessarily targeting a degree. So it’s further to travel but the range of course options is wider and there are specialist labs for osteology, ceramics, environmental etc. 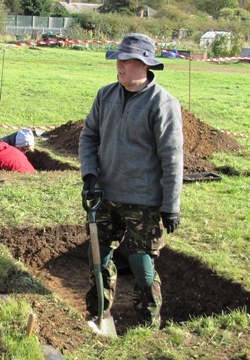 “The reason I took the BA (Hons) in Archaeology was that I was in my last ten years of Service with the RAF and decided the time was ready to study for a degree. Most importantly it would be a subject I was very much interested in as that would provide the incentive to apply myself. There was no specific desire for it to be vocational as I always planned to become involved in local archaeology once I had retired from the RAF; at that time, I had no idea where that local archaeology would be. Distance Learning (DL) was the only option available to me. The course was thoroughly rewarding in its own right, learning about the wide range of archaeological disciplines and sub-specializations; studying the human story to some depth, from the earliest hominins through to the modern humans of today – the evolution of tools and technology, subsistence strategies, belief systems and commemoration of the dead; and exposure to the practical aspects of archaeology – such as excavation, survey and finds analysis. 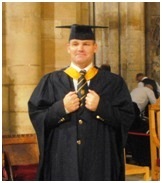 Having achieved my degree I am now studying at Leicester for an MA which involves 4 modules plus dissertation, all by Distance Learning. 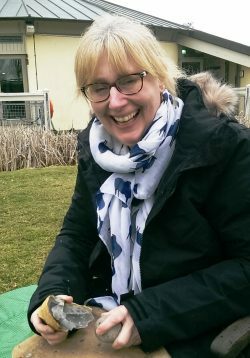 The reason for taking the MA in Archaeology and Heritage was that I felt the module subjects would give me additional knowledge and awareness to better develop new and existing archaeological projects for Sawtry History Society and FRAG. This course (to date – currently studying Module 3) is equally as rewarding in its own right, giving valuable insight to promoting the heritage aspect of the archaeological record through proactive community engagement; studying historical buildings of interest, and interpreting phases of construction and use; and the study and interpretation of landscapes through various survey strategies and imagery sources. The main and enduring challenge as a DL student is balancing study time against work, family and other interests. There were only two one-week mandatory attendances during the BA (Hons) in Archaeology course; a field school in the Diploma level and a lab week in the Degree level. Both were thoroughly enjoyable and rewarding, but do place an additional burden on the time-balance scale. There are no mandatory attendances during the MA in Archaeology and Heritage course. The Institute for Continuing Education offers one year part time archaeology and history courses in a range of topics leading to Certificate or Diploma depending upon level. There is also an advanced diploma in research theory and practice. Facilities and staff are excellent. These courses allow study at an advanced level without the cost and time commitment required to complete a degree. 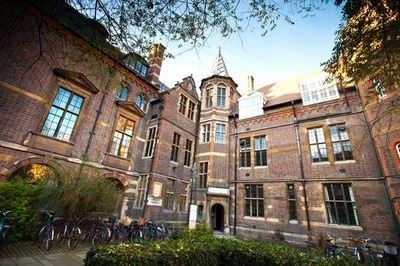 An undergraduate or postgraduate archaeology course at Cambridge University itself is for those following an academic path. Entry requirements for the BA course include 3 “A”s at A-level. The undergraduate course encompasses Archaeology, Assyriology, Biological Anthropology and Egyptology. Staff are at the forefront of research. Resources include purpose built labs, a dedicated library and the Museum of Archaeology and Anthropology. There is also a professional field unit, the Cambridge Archaeological Unit. You can validate new found archaeology skills with a BAJR Archaeology Skills Passport. A course such as BERT will be helpful for this, but many other practical activities or courses will enable you to get competencies ticked off. 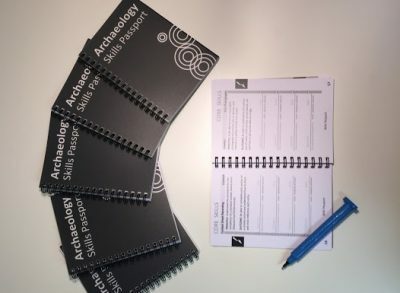 BAJR is an archaeology jobs website but their “passport” has become well recognised in the profession as a way for newcomers to record both theoretical and practical skills.